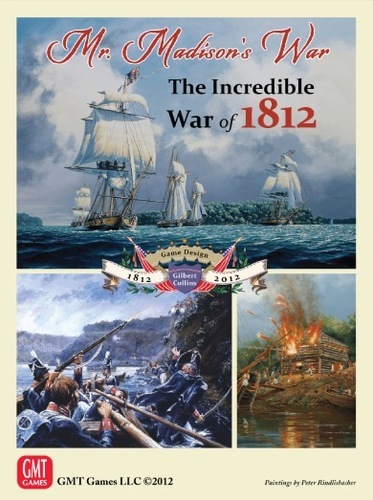 In June of 1812 Napoleon invaded Russia, meanwhile on the other side of the world the young republic of the United States declared war on Great Britain. It was one of America's most unpopular wars and “Mr. 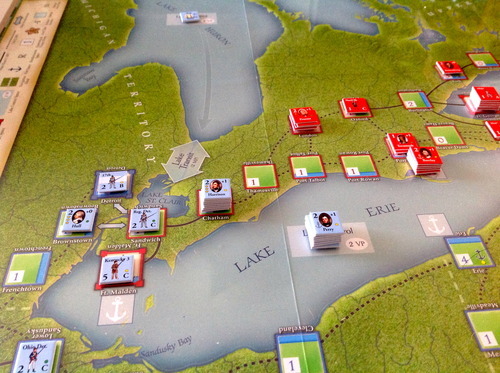 Madison's War - That Incredible War of 1812” is a strategy game based on the US campaigns to take Canada in the years 1812 - 1814. The map board measures 35”x24” and covers the the northern part of the states of New York, Pennsylvania, Ohio and the Canadian provinces of Upper and Lower Canada, the area where most of the battles were fought. The game features over 203 counters that feature the named regiments and battalions that fought the war including militia and Indian units. Also included are named individual Schooner, Brigs and Frigates that fought the naval war on the great lakes. The principal leaders of the war are included such as Major General Isaac Brock, Sir George Prevost, Major General Hull and many others. 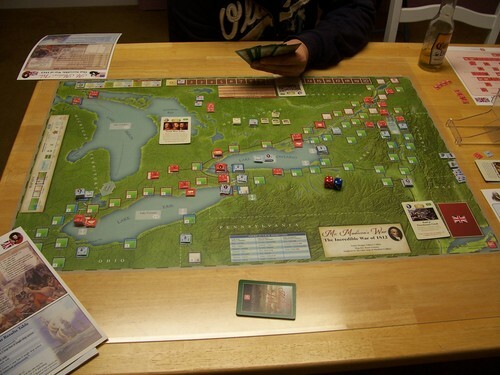 The game utilizes the new 'card driven system' which enable players to perform their actions on the game board and score automatic points for the playing of a card as an historical event. The colorful cards include historical information, the year the event took place and a detailed description of the function of the card. There are 105 individual cards in the game. 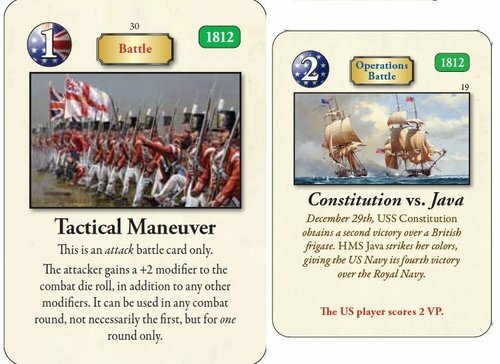 The illustrated Rule Book is approximately 16 pages long and there are 5 player aid sheets that contain the Combat Results Table, both land and water and cards to set up the various reinforcements. The objective of the game is to gain Victory Points by invading your enemies territory while maintaining your own. In complexity the game would be rated as average and would appeal to any student of the Napoleonic Wars in general. It is at present the most comprehensive treatment of the War of 1812 yet offered to the public.